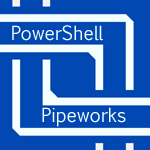 Formulaic is published with PowerShell Pipeworks, which turns the module into a web site and service. You can run many commands with a RESTful url. For instance, to see the angle of a 10 unit rise and a 10 unit run, visit http://get-math.com/Get-Angle/10/10. To get the results of the command as JSON, visit http://get-math.com/Get-Angle/10/10/?AsJson=true. You can also supply parameters to a function in Formulaic by using the name of the command and the name of the parameters. For instance: http://get-math.com/Get-Angle/?Get-Angle_Rise=10&Get-Angle_Run=10. The Formulaic web site is built using a file called the Pipeworks Manifest. If you download the source code for Formulaic, you can check it out: it's Formulaic.Pipeworks.psd1. This file controls which functions can be run as a service and how the module will be published.